Morning friends! Happy Monday! 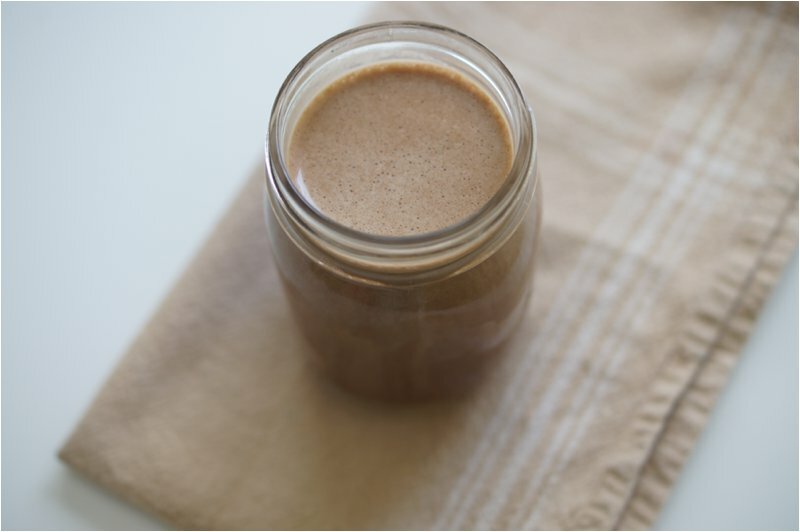 Today I'm sharing a the most perfect coffee protein shake, ever! I'm really excited about it because it involves coffee and I looooove coffee! I've tried putting coffee in my protein shakes before and they've always tasted weird, but I think I found the magic formula! I knew I could easily incorporate a protein shake in the morning when I have access to a blender, but I almost always want coffee in the morning (nothing else), so I googled "coffee protein shakes," to get ideas. There were a lot of good recipes but mostly everyone used the same formula: cold coffee and either almond or coconut milk. When I finally gave this a try I was so pleased with the outcome! I hope you guys like it, too! In the evening, I make a single cup of coffee using hot water from my Keurig and Taster's Choice instant coffee. I make it in a mason jar and store that in the refrigerator overnight. I also make sure I put a banana in a plastic bag in the freezer overnight. The best part about this smoothie is that you can't taste the protein! In fact, I think it tastes like a Starbucks mocha frappuccino! I usually finish it by the time I get to work (who am I kidding? I finish in like 2 seconds), and when I get in the office, I don't have that urge for a cup of hot coffee anymore! I already feel wide awake and alert -- so I go right to drinking water! I love that fact that this is a healthy swap for my cream-and-sugar-filled coffee in the mornings. With summer around the corner, I'm also happy to have a nice, cool way to start my morning and one that packs more than 20 grams of protein! There's plenty of ways to change this up, too. You can omit the banana and just use ice cubes or omit the almond milk altogether (if you don't have it or don't like it). You can also swap the cocoa for cinnamon, or omit both and make it a caffe frappe! Have you ever put coffee in a protein shake? What are your favorite protein shake/smoothie recipes?